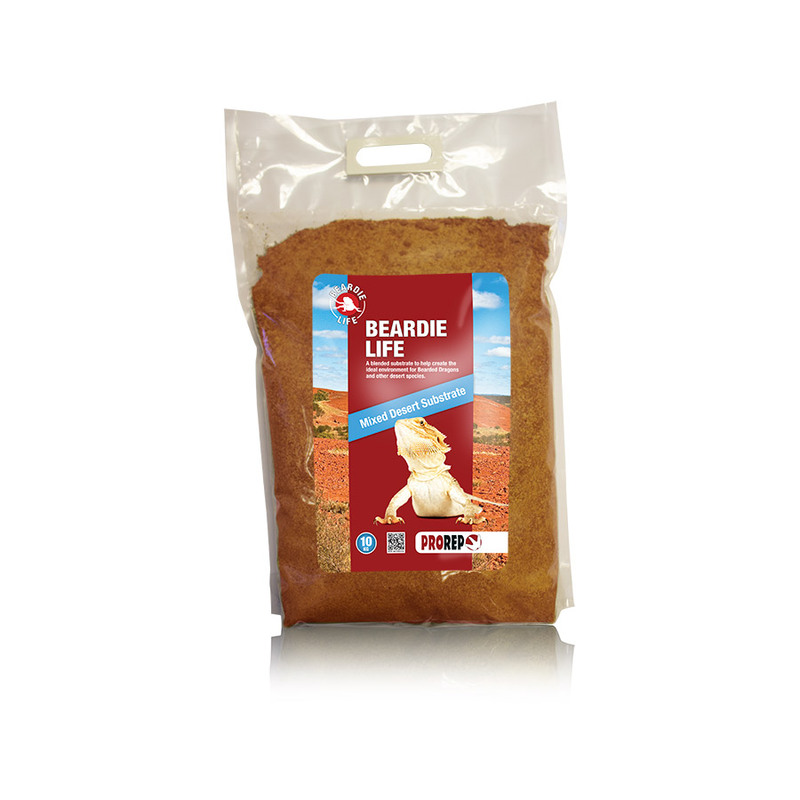 ProRep Beardie Life Substrate 10 KG | Livefood UK Ltd. In the wild there are few species that actually live on pure sand and so Beardie Life has been designed to mimic the sandy soil more typical of desert habitats. Beardie Life contains a mixture of sand and soil to create a realistic looking and feeling substrate which encourages natural behaviour, such as digging and foraging, and which aids the maintenance of a suitable environment. The addition of soil to the mixture reduces the risk of impaction sometimes seen with pure sand, while enhancing the moisture retention ability of the substrate..